You know that thing were you go to take a sobriety test and then you can't walk in a straight line because you have a hairline fracture in your foot? No? Justin Bieber knows what I mean! According to a police report released Tuesday, Justin Bieber claimed his foot was fractured when he had trouble walking a straight line following his January arrest in Miami. He claimed the foot suffered a hairline fracture three months earlier when he injured it skateboarding. 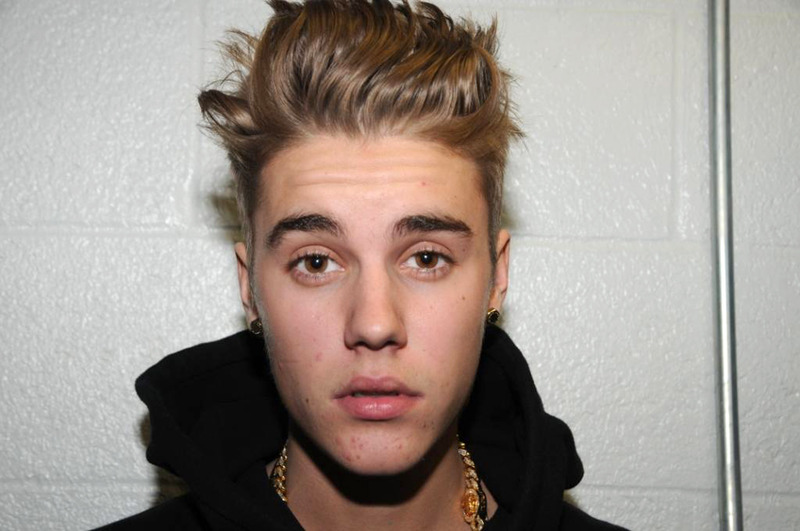 Bieber also reportedly said some pretty egotistical things to police officers once he was taken to the station. Bieber mouthing off to cops is no surprise, but what is surprising is that Bieber's foot fracture story might be true. It turned out that Bieber blew under a 0.02 on a breathalyzer test meaning he was under the legal limit and not intoxicated. In video footage of Bieber walking the line at the police station, he obviously is having trouble, so there could be some truth to his story. The police report reads, "He appeared to have great difficulty." On the other hand, the report goes on to mention that the injury was never brought up or noticed again. Would Bieber claim a fake injury to pull one over on some cops even if he didn't need to pull one over? I think so. Bieber seems like the kind of person who likes to mess with authority — just check out his deposition video — so perhaps he still thought he was drunk and thought he tricked the cops by passing his breathalyzer test and wanted to trick them again with his sobriety test excuse. Or maybe he knew he wasn't drunk and decided to act drunk for the conflict it would bring. Bieber is 20-years-old. Did you ever go to parties when you were underage? Remember that one person who seemed super drunk and everyone would be like, "Didn't she only have, like, one beer?" Justin Bieber is that person. He willed himself to drunkness because getting away with underage intoxication is the perfect way to stroke your ego. As for the rude comments to the cops, Bieber reportedly said, "I'm 19 years old. I'm just out having a good time. What were you doing when you were 19?" A police officer responded that he wasn't driving around in a Lamborghini to which Bieber said, "Yeah, well, I bet you didn't have millions of dollars in your bank account either." Classic Bieber! Later when the officer mentioned to another officer that it appeared Bieber and his friends were having some trouble driving the cars, Bieber said, "What? I've been driving Lamborghinis since I was 15."